Space prevents us from doing full justice to the various millennial views. For example, some teach a mid-tribulation or post-tribulation rapture even within dispensationalism. Moreover, the popular dispensationalism we see on television and in popular fictional writings is different than the “progressive dispensationalism” taught by many dispensational institutions. Progressive dispensationalism shies away from the more speculative aspects of dispensational eschatology and is increasingly recognizing the underlying unity of the diverse, biblical covenants. Amillennialism is the most widely held millennial view in the Reformed church today. Its adherents understand the one-thousand years of Revelation 20 to represent the entire span between Christ’s first and second advents, in which Jesus reigns from the right hand of the Father. As in premillennialism, the amillennial position also speaks of the increase of evil, culminating in a personal Antichrist whom Jesus will destroy when He returns to renew the earth (chap. 21). Amillennialism’s strengths are its reading of biblical, apocalyptic literature symbolically, as its authors likely intended, and its stress on the truth of Christ’s present reign (1 Cor. 15:25). Postmillennialists criticize amillennialists and premillennialists for their pessimism. This view, widespread in centuries past, is gaining adherents today and stresses the Gospel’s power. Christ reigns from the throne of heaven to ensure the success of the Great Commission. Multitudes will trust Jesus and transform the world, producing a golden age of peace and justice. As in amillennialism, most think the millennium symbolizes a long time span, after which Christ ushers in the eternal state. Postmillennialism’s optimism encourages Christians to take dominion of the earth (Gen. 1:28), while the other views may imply that applying the biblical worldview to society is not as important, thus focusing solely on rescuing people from a world where the Gospel will have no lasting impact. 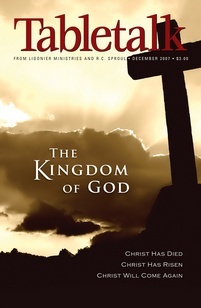 Scripture’s underlying framework, the sure growth of God’s kingdom, is the bedrock of biblical postmillennialism (Isa. 2:1–4; Matt. 13:31–33). Postmillennialists do not deny that there will be tares in God’s kingdom until Jesus returns (Matt. 13:24–30). Still, Dr. Keith A. Mathison notes that “at the end of the age, the Son returns to a field of wheat, not a field of tares” (Postmillennialism: An Eschatology of Hope, pp. 210–211). Whichever millennial view we hold, all believers should have confidence in the Spirit’s power. If we follow His ways and not our own, we can powerfully witness the reign of Jesus.